The collection of ornately-carved stones are from the Viking Age. Photo Credit: Tom Manley/BBC. A teenager assisting in excavations in Scotland has found one of a Middle Age lost gravestones known as the Govan Stones. 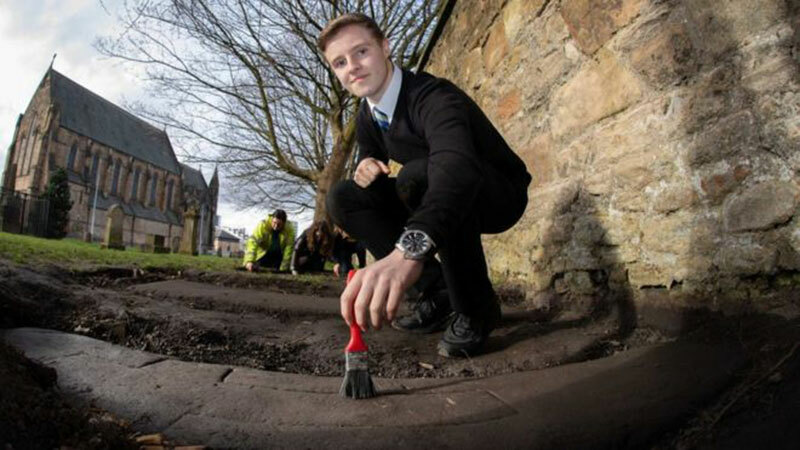 The 14-year-old schoolboy, Mark McGettigan found one of the stones at Govan Old Parish Church, which led to the discovery of two more sculpted gravestones. 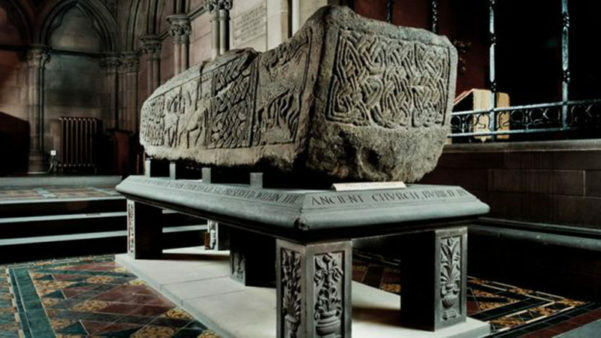 The Govan Stones date to the 10th and 11th century and are part of a wider collection of carved gravestones. Their existence was known to historians and archaeologists but their whereabouts where lost when a nearby shipyard was demolished over four decades ago. 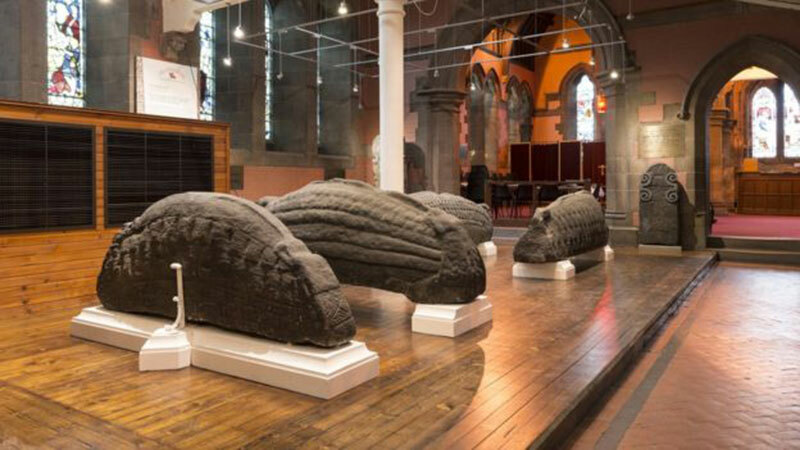 The Govan Stones, housed in Govan Old Parish Church, date to a troubled period in History. Govan was at the time the major religious centre in the Kingdom of Strathclyde. Overall 46 stones were found in the 19th Century, 31 of which are kept at the interior of the church. Among them is a sarcophagus which is thought to have contained the remains of King Constantine, who was made a saint. The rest of the stones were kept against a wall in the churchyard but after a nearby shipyard was demolished in 1973 they disappeared. The new discovery indicates that some of them were buried, contrary to what researchers had believed so far. Now they hope that more of the lost stones will be found. Excavations were conducted as part of the Stones and Bones project, led by Northlight Heritage for the Govan Cross Townscape Heritage Initiative and the Glasgow City Region City Deal.